Palma to Ibiza is a domestic route in the Balearics and is operated by Balearia and Trasmediterranea. As well as comparing prices and times for Palma to Ibiza, we will also show you results for Palma to San Antonio to help you get around the Balearics at the best time, for the best price. 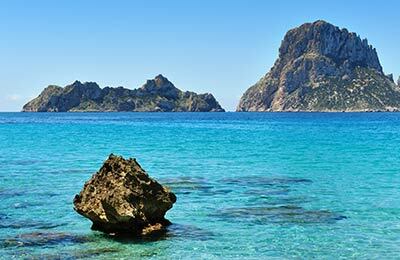 The average price found by our customers for Palma to Ibiza recently is £64, with Trasmediterranea. Book a Palma to Ibiza ferry today with AFerry. Just use the form above and choose the route that you want. If nothing appears automatically, start typing Palma. You can also type the country or even the name of the ferry company you are interested in. When you have the route that you want, choose single or return and all the other options you want. If there is more than one ferry company operating on the Palma Ibiza route we will show you all the ferry companies, to make sure you get our best price. We'll also show you any routes similar to Palma to Ibiza so you have the complete picture when making your booking. And of course you'll also see a range of times just in case it's a bit cheaper earlier or later than your preferred booking time. Once you've chosen your perfect sailing and have made your booking we'll email you your booking confirmation for your Palma to Ibiza ferry. The majority of tickets have instant confirmation. Below you can see the ferry company or companies that sail on the Palma to Ibiza route and the journey times. You might also see some recent prices our customers have found. The best way to find a cheap Palma to Ibiza ferry though is to use the form above today to see all of our possible choices. With AFerry we always give you our best prices for ferries from Palma to Ibiza. No matter which page you book from we always include all our special offers. And there is no need to look for a discount code. If we have an offer available, your ferry price will include the reduction or offer. There's no need to look at other websites. If you're not sure if the Palma to Ibiza route is right for you or you can't decide between ferry companies, if there is more than one, you might also find it useful to read any reviews we have available. We ask all our customers to send us reviews for Palma to Ibiza ferries. Remember though, that the earlier you book, the cheaper prices normally are. So don't spend too long deciding! 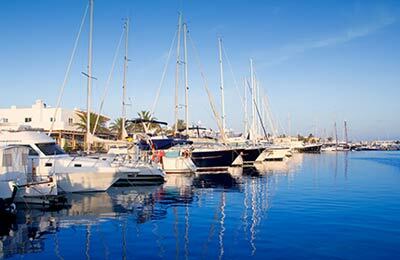 Palma to Ibiza is a popular route, so we advise you to book as soon as possible. Very enjoyable journey and very comfortable.....would use again. We have done this journey a number of times over the past ten years, and the quality of Balearia's offering and the general logistics surrounding the crossing have improved markedly during that time. The ship was clean, spacious and had lots of indoor and outdoor deck space, with four classes of travel (bar seating, regular seating ( a bit like airline premium economy), upgraded seating ( a bit like airline long haul business class ) and cabins. We took the regular seating outbound and booked a cabin on the journey back. The cabin was clean and calm and cost €100 one way to upgrade on board (fitting all four of us). Whilst the high season prices for inter-Balearic island crossings can be quite steep, out of season this was a very reasonably priced, calm and sophisticated way to cross the Balearic sea. I would definitely recommend upgrading to the Neptune seats on the way back from Ibiza. Extremely comfortable and with a huge delay I just fell asleep and woke up in Palma. They are not allocated seats though so be quick to board so you can sit together.